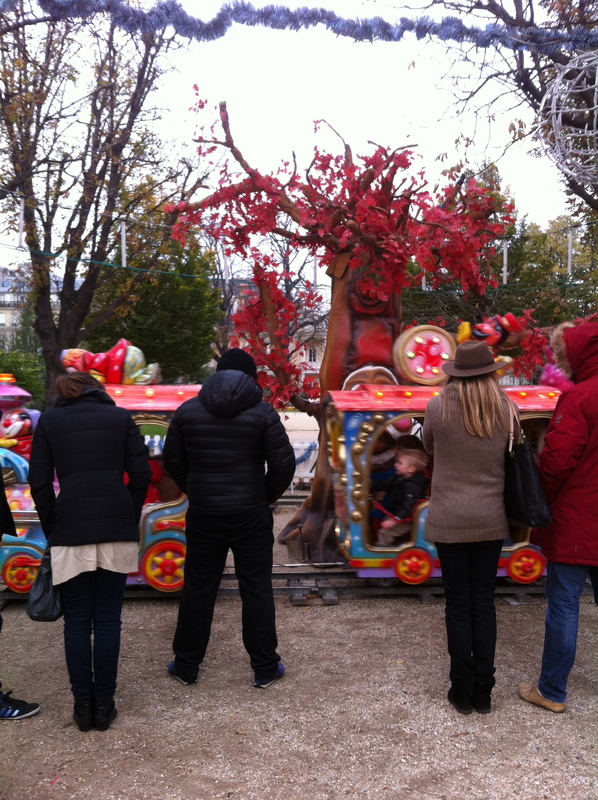 Somehow we always end up paying a visit to the market on the Champs-Elysées every year. This year it was during a walk home after a pleasant lunch at Tokyo Eat at the Palais de Tokyo and exhibition visit to see the Serge Poliakoff exhibition at the Musée d’Art Moderne de la Ville de Paris. 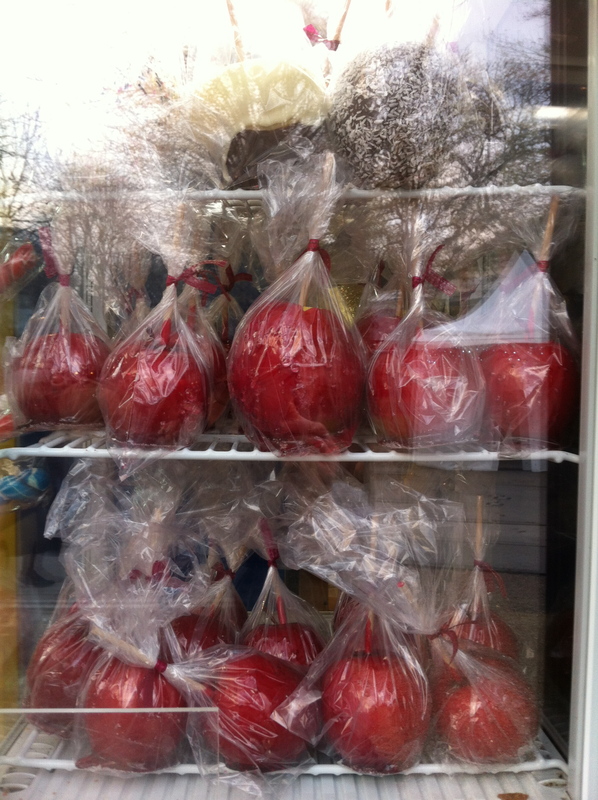 The first thing I spotted at the market (that runs from the rond point des Champs-Elysées to the Place de la Concorde) was a booth with these candied apples. Don’t they look so tempting? 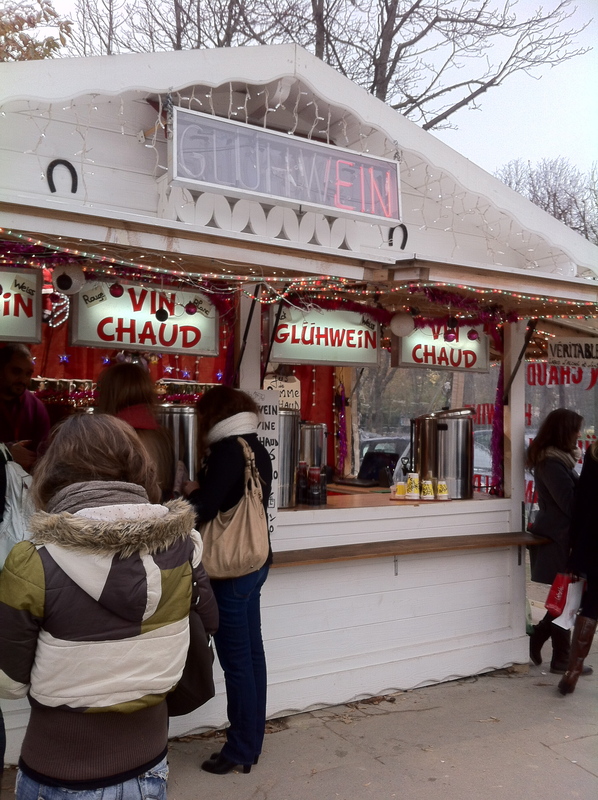 I love passing by the stands selling mulled wine. On a freezing cold day it’s so nice to have while we walk! 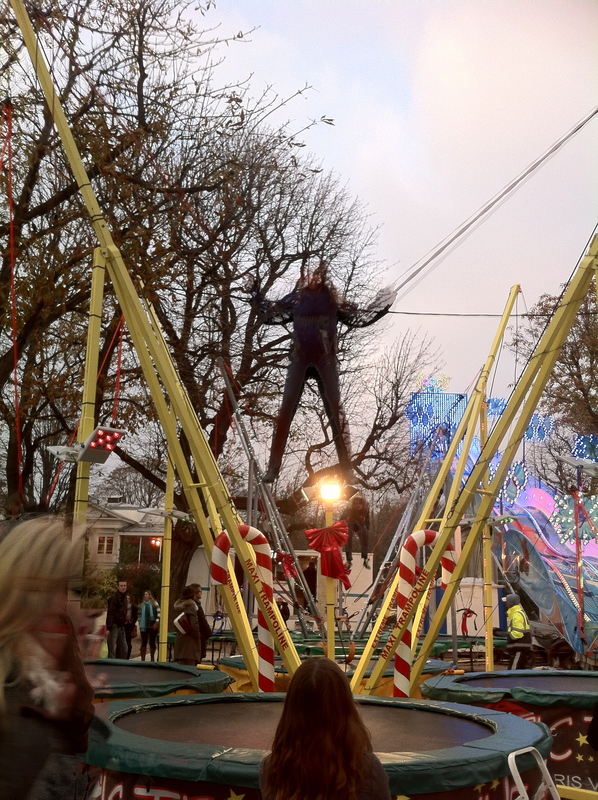 On that day, however, it was far too balmy to take one. 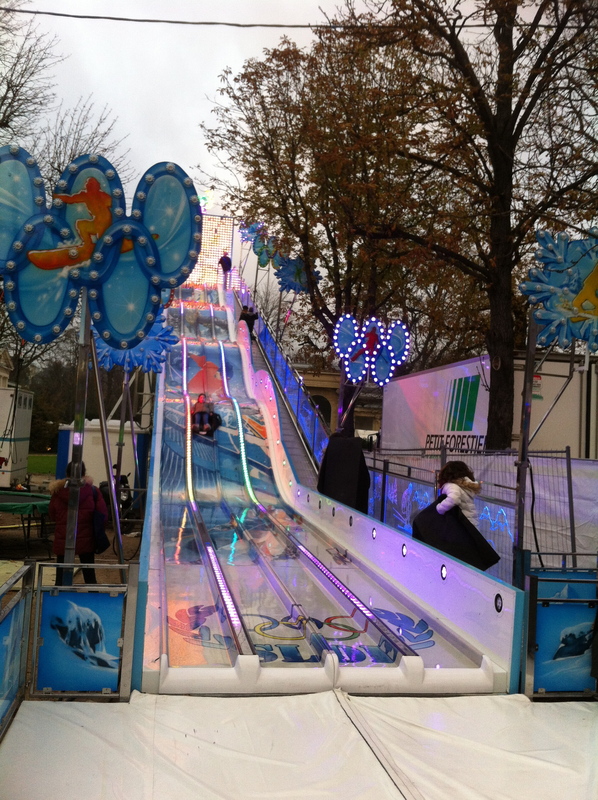 There are lots of family and children-friendly activities at the market, including roller coasters (above), children’s Christmas trains, ice skating rink, slides, etc. Of course there are many things to buy! 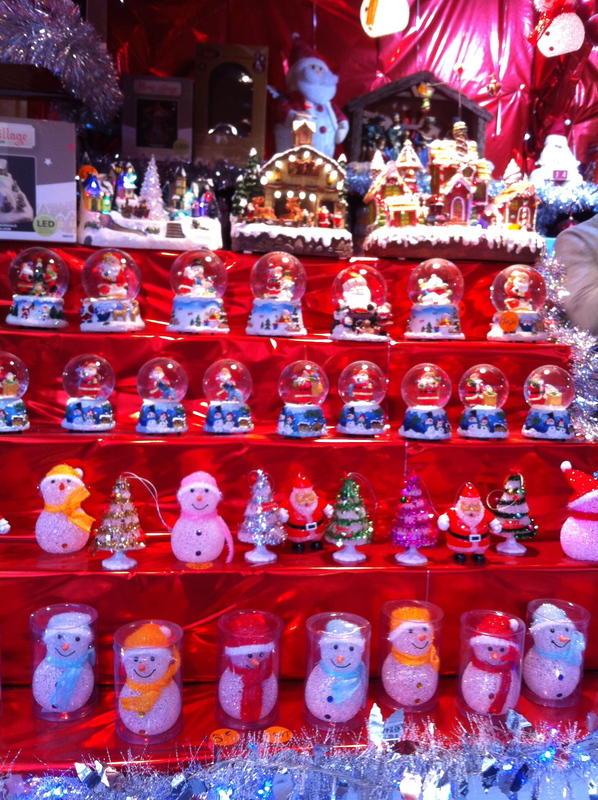 I’m quite partial to a snowy Christmas snowglobe. 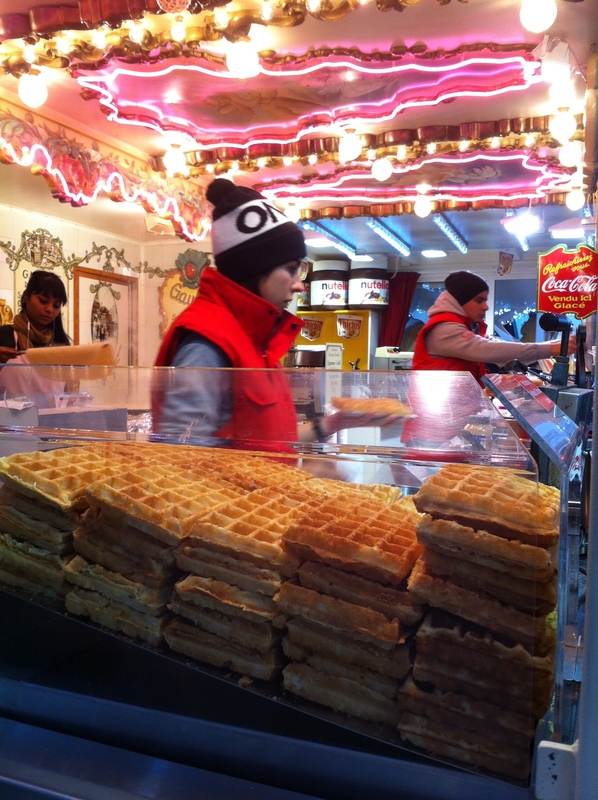 Or some waffles to go. 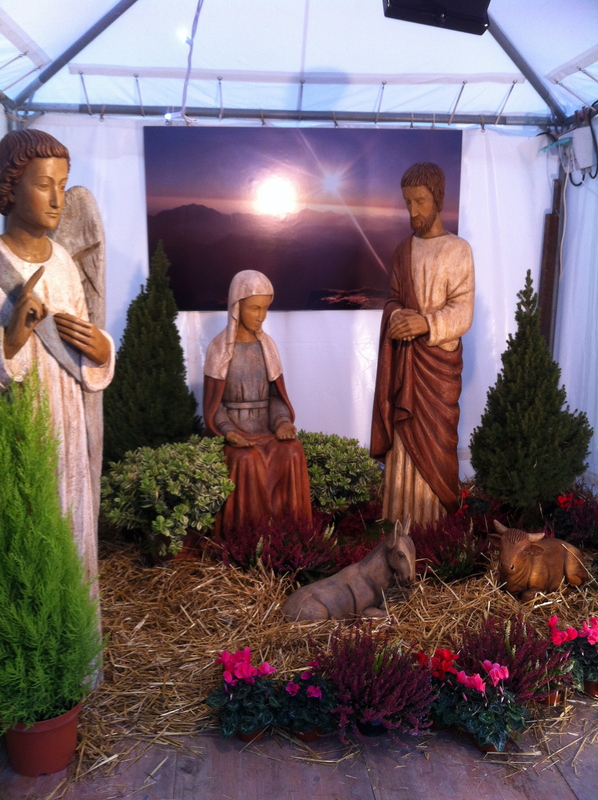 Little Miss was fast asleep on our walk so she missed this nativity scene. Oh well…. 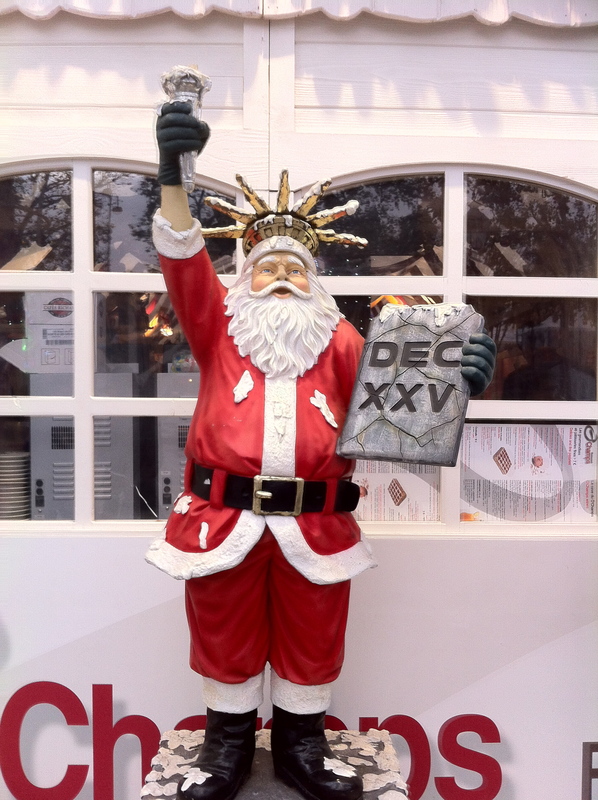 I suppose there’s always next year’s Christmas market to look forward to! 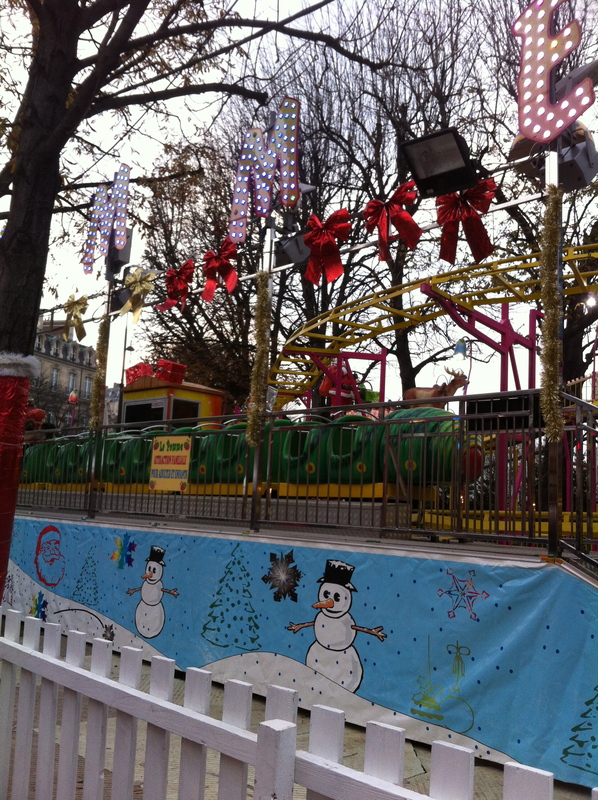 This entry was posted in Around Paris, Special Events and tagged artisans, avenue des Champs-Elysées, candies apples, Christmas markets in Paris, Father Christmas, mulled wine, Musée d'Art Moderne de la Ville de Paris, Palais de Tokyo, Père Noël, place de la Concorde, rond point des Champs-Elyées, Santa Claus, Serge Poliakoff, snow globes, Tokyo Eat, vins chaud. Bookmark the permalink. 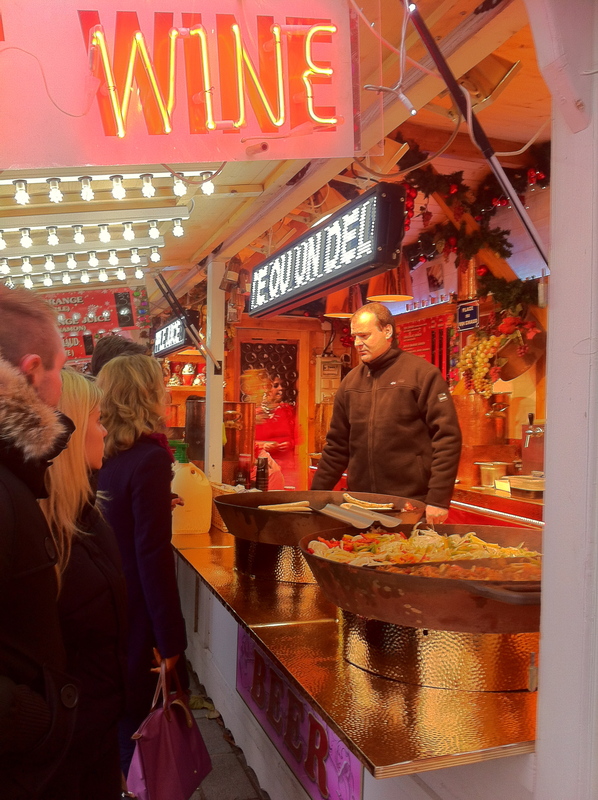 You make this marché look Wonderful! @maggie: You’ll have to plan another trip with the kids, they’ll love it! Unless otherwise stated, all photos are copyright ©Paris Bee Kids. Should you wish to publish or use an image, please contact me with further information. Thank you!